Christmas And New Year Holiday Composition With Gift Boxes, Pine Cone, Womens Hands Pack A Gift On The Blue Background. Top View, Flat Lay. Copyspace. Royalty Free Fotografie A Reklamní Fotografie. Image 90026707. Reklamní fotografie - Christmas and New Year holiday composition with gift boxes, pine cone, womens hands pack a gift on the blue background. Top view, flat lay. Copyspace. 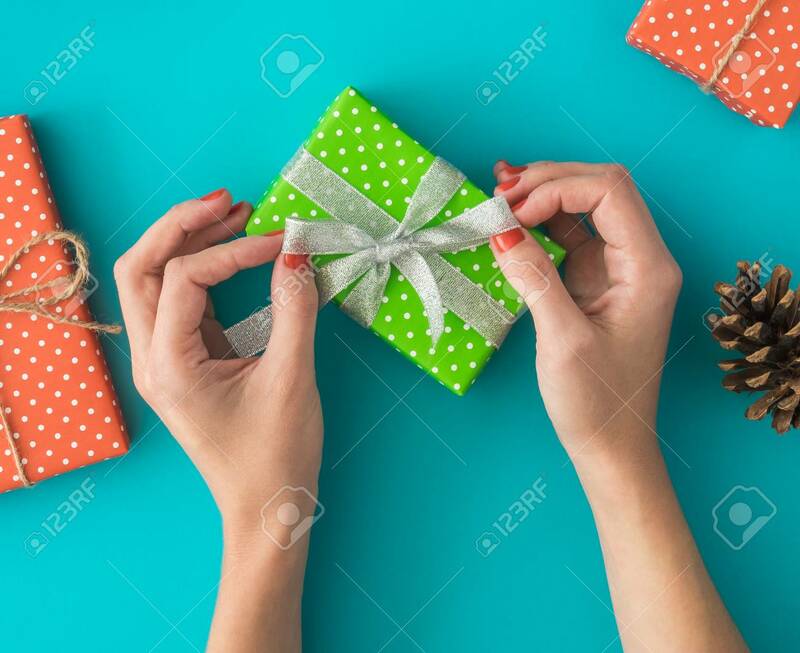 Christmas and New Year holiday composition with gift boxes, pine cone, womens hands pack a gift on the blue background. Top view, flat lay. Copyspace.